The power of Amazon Prime can hardly be overestimated. 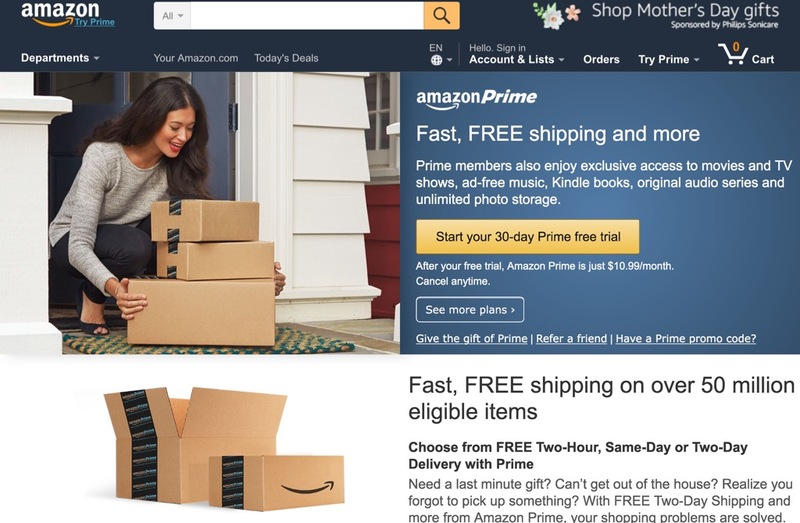 Prime not only changes the shopping behavior of subscribers and allows Amazon to cross-subsidize businesses it also allows Amazon to compete asymmetrically in many different markets. Operating a unique cross-category bundle that popular gives Amazon an immense advantage in so many markets. Media recently reported that Amazon now has the number three position in streaming music behind Spotify and Apple Music globally, through a combination of the limited Prime Music service and its separate Music Unlimited service. My own recent surveys suggest roughly one in six Prime subscribers in the US use the music feature at least monthly, and I would bet that Echo adoption plays a role in that, given that Prime Music is integrated into the Alexa function. ​Amazon adds a bare-bones music streaming service to Amazon Prime which has a tenth of the catalogue Spotify and Amazon‘s own Music Unlimited and other services offer. That only makes sense as an add-on. Given the size of Amazon Prime that still gives Amazon an edge with music. But the more interesting part of its recent video strategy has been its creation of the Amazon Channels service, which allows Prime subscribers to bolt on monthly subscriptions to various channels, from premium networks like HBO and Showtime to niche and foreign content. Recent figures reported by BTIG Research suggest that Amazon alone may be responsible for a significant chunk of the subscribers for standalone streaming services like HBO Now through this channel. The limited audience at Amazon Prime allows Amazon to negotiate different partnership deals for this. Though video and music are the most popular features beyond free shipping, others such as the free access to books and magazines through Prime Reading and the Photo Storage offerings are also used by 10% or more of Prime subscribers in the US. Applied to the likely 80 million plus subscribers Amazon now has globally, that means Amazon is becoming a meaningful player in a number of secondary markets almost incidentally, threatening standalone players who make their whole businesses out of providing similar offerings. Though it would be tempting to write Amazon off as having no basis on which to build either of these businesses – after all, it’s historically served households rather than providing personalized services to individuals – the businesses it’s built in video, music, and beyond suggest that we should never underestimate Amazon to build new businesses off the back of its Prime subscription base. Amazon Prime has laid the groundwork for this already.